The Vintage Garage isn't your typical Chicago flea market. 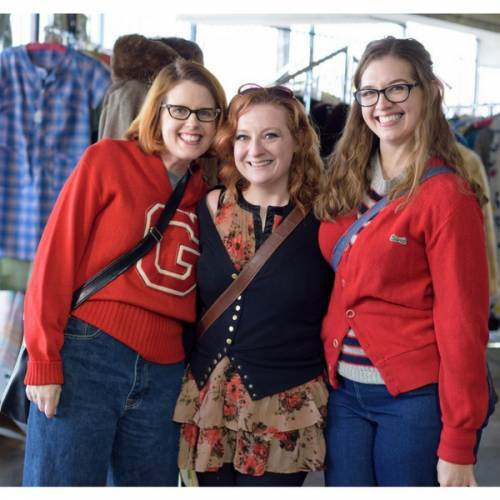 It's Chicago's only ALL vintage flea market. Items like vintage clothing, jewelry, home decor, Midcentury modern, vintage furniture, vintage lamps, vinyl and more. Sometimes something really cool comes along that isn't vintage, yet it fits our market and customers perfectly so we invite them to join us. Things like amazing brownies and cookies. Unique beauty products or pieces made from vintage components. 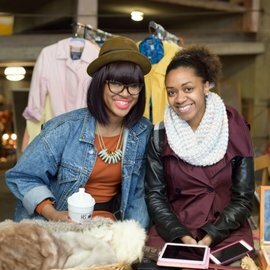 The Vintage Garage is a hip Chicago flea market that puts it all together on the 3rd Sunday of the month. Uptown at 5051 N. Broadway, Chicago. We are located just on the north edge within a few blocks of Edgewater to the north and Andersonville just to the west. Just a block from the Argyle Redline stop. Each 3rd Sunday offers a completely new batch of vintage merchandise and dealers. It's fresh to this Chicago flea market. Hunted from local Chicago estates, auctions and sales, and brought together in one place in the city, once a month. All categories of vintage are represented. Got great vintage? Apply to sell at the Vintage Garage here. The Garage is held in an actual parking garage. The show happens rain or shine. We've had some incredible rain and storms, but this is a sturdy concrete garage. No matter what the weather, we are protected. You won't find much in terms of "extra" entertainment; we just don't have time. 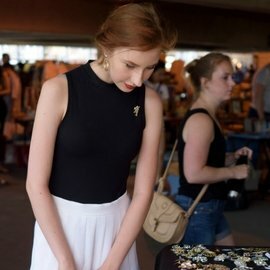 This Chicago flea market is only one day. It's all about buying and selling vintage. If you want to get the very best selection get there early. If you want to find parking, early is also a great idea or click here for tips.